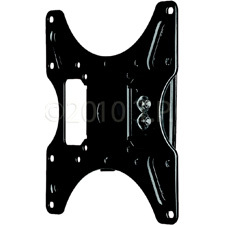 Wall Mount for LCD Panel 10" - 37"
> Wall Mount for LCD Panel 10" - 37"
A functional and attractive wall-mounted TV is the benchmark for any retail setting, waiting room, reception area or lobby. It has a downward tilt for a more comfortable viewing angle. In addition to optimized viewing angles, a tilt function also reduces glare on the TV screen. This tilting TV mount will even give you access to the rear of the TV with the 5 degrees of upward tilt.